In the mid-1970s, Larry Webb started a small custom van and motorcycle paint shop. 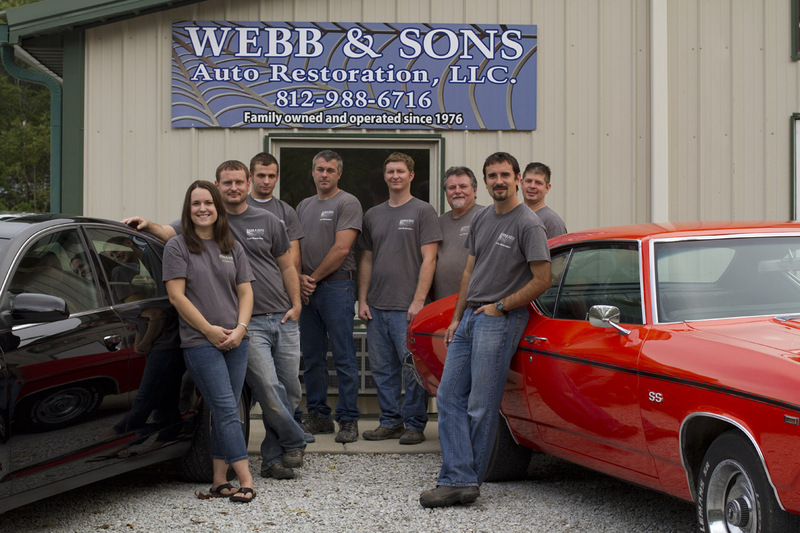 Thirty-five years, four sons, and twelve grandsons later, Webb & Sons Auto Restoration has grown into a multi-generation, family owned and operated auto-body repair shop. 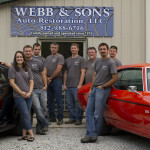 While no job is too big or too small, Webb & Sons Auto Restoration provides a professional service with small town charm. Whether it is an everyday insurance fender-bender or a baby-boomer’s dream car, Webb & Sons has been serving Brown County and the surrounding area for over 35 years. Of course none of this growth and progress could have been possible without the trust and loyalty of the members of the community. So to all of our past, current, and future customers; thank you for your business. As well as free estimates!